5 Tips for Thinking Outside the Box at the Help Desk. Innovation and creativity are essential skills for anyone working in the Help Desk of a company. Besides implementing the basics, and making it up and running, you must innovate and think creatively to serve customers better. Besides that, it is important to encourage the creativity of employees because sooner or later you will need to be flexible to solve customer problems. 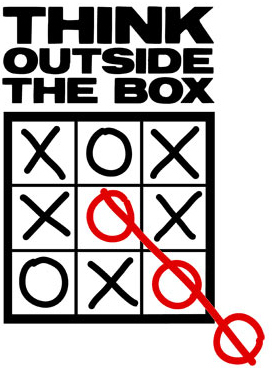 Check out five quick ideas to help you think outside the box. (1) Take time off before and after business hours for strategic thinking. (2) Select three meetings a week with colleagues from outside work to learn what they are thinking. (3) Take the leaders of your company out for dinner regularly to hear their ideas and learn about their critical points. And do not forget the “beer list” – ideas for the future that are explored in the bar. (4) Many Help Desk Managers create Help Desk forums to encourage strategic thinking among Help Desk managers and in some cases, the entire staff of the Help Desk. It is interesting to include the ideas of strategic thinkers and include people with less than two years of experience in these workshops. (5) Attend forums discussion meetings on Help Desk with great speakers and cultivate relationships with Help Desk Managers who have distinguished themselves by “strategic thinking”. First, adopt practices that fit your personality and your lifestyle. If the thought alone does not work for your outgoing personality, do not fight it. Second, you can not have all the strategic responses. Recruit an extensive network of insiders and outsiders to provide new insights – and challenge their thinking. Third, find ways to push yourself outside your comfort zone.